Look for our Size chart and Size Guide in Images (Not the Amazon Size Chart). Estimated delivery is Around 6-10 Days. we use DHL & Aramex. we accept return of the Item for 14 days from the date of Delivery. Return Item should be in original condition. Buyer is responsible for return shipping handling charge. There might be a Slight Variation in Color due to Photography / Light effects or also due to computer color resolution. Color will be used matching the original outfit. 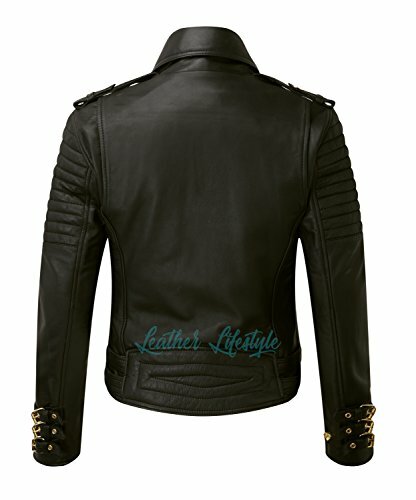 The Accessories of the Leather item Such a Button, Zippers & Color might differ due to material availability in the market but it will be used similar to outfit. ✅OUTSIDE MATERIALS: We use only the finest leather in the market. The leather is our passion. We source the best leather skins which use traditional methods to produce batches of the most incredible, Soft Lambskin Genuine Nappa Leather. ✅INSIDE MATERIALS: Premium Satin linings can be found in different fibers. Satin lining has a good weight and is perfect for adding a bit more substance to inside. ✅SIZE : Refer our size chart and Size guide (Not the Amazon Size Chart). We add 5-6 inches to actual body measurement. 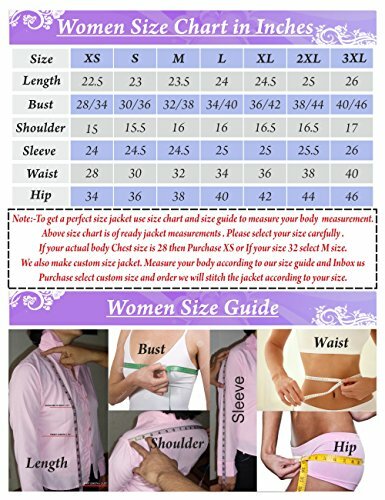 ✅If your skintight chest circumference is 40-41 inches then this jacket with chest of 46 inches (Medium size) to perfect fit. Because jacket makes 5 to 6 inch bigger in your actual body measurement. ✅We guarantee the style & Color is the same as it is in the original picture.The jacket color will be same as shown in the listing item. Slight color variations possible due to differing screening and photograph resolutions.